Purchasing the right work footwear is the first step in making your days more comfortable. Sometimes this alone isn't enough and that's why Danner Men's Airthotic Support Insoles were created. 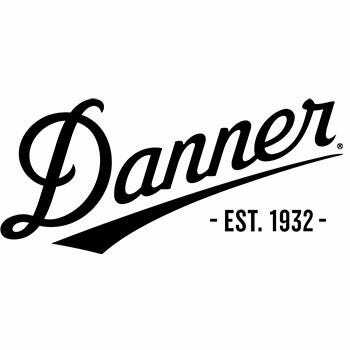 Add these Danner footbeds to any men's shoes, and you'll feel the differ ... (see full details) (see specifications) #DNNAIRTHOTIC. Purchasing the right work footwear is the first step in making your days more comfortable. Sometimes this alone isn't enough and that's why Danner Men's Airthotic Support Insoles were created. Add these Danner footbeds to any men's shoes, and you'll feel the difference! These half-length men's insoles are manufactured with a durable molded polyurethane. They're designed to rise up and support your arches and cup your heels. In addition this rugged material is more rigid than foam footbeds, as it won't compress over time. Every time you step into work boots with these Airthotic insoles inside, you'll experience the same support you had from the very beginning. These soft and comfortable ventilated insoles are perforated for improved air circulation. This will keep your feet cool and dry all day long. Rapid moisture movement is a key comfort component, and this unique design is a great way to get it! Your feet will stay fresh and dry with these Danner accessories in place. If you need extra support in your steps, add these Danner Men's Airthotic Ventilated Footbeds to your men's boots. You'll be amazed at how great they feel, starting with your very first step in them! Order your pair online from the Working Person's Store today. I have been wearing these in my hunting boots since 1992. I used them elk hunting in the Montana. It gives me support, cushion and ventilation all in one. I also use them in my work boots at the factory. Great item. I have a pair for each boot so they are there when I need them. I have tried many insoles in pursuit of a happy pain free work day. On average I spend 8 to 10 hours a day on a concrete floor. I put these in my work boots and have finally found the comfort I needed. At first I thought how could these be comfortable being so different from the standard insole I was used to. Yup, no gel or full length molded arch support here. Only supporting the back half of the foot with a ventilated plastic type support. It seems to be working...I haven't had the sore feet I was so accustom to. The ventilation holes in the insole allows your foot to breath. It seems as if my feet might sweat less or at least dry out. If you are looking for something different in the pursuit of happy feet I say give them a try. They don't cost all that much and might work for you like they have for me. I have been wearing these for a week and my feet and back feel great! This is the best arch support on the market today. Works really well, nice work Danner. I have been wearing these in my danner boots and my feet feel great. My back does not bother me as much and feet do not ache. Danner Accessories: Men's Airthotic 96703 Ventilated Arch Supports is being added to your cart.